Calendar@: Could this be our future? Could This Be Our Future Too?! If you've been watching the news recently you may have heard about the unrest in Venezuela. A struggle between the socialist dictatorship propped up by Cuba and those pushing for freedom. It is the pirme example of what happens when a government becomes too big and begins to take over the lives of its citizens. 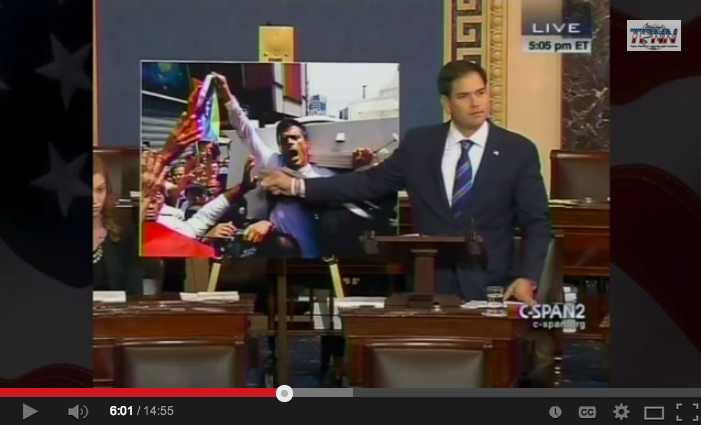 So why were members of the U.S. Congress praising Cuba recently? Could this be our future? Sen. Marco Rubio, signer of the Contract From America, took to the floor of the U.S. Senate to address this struggle between freedom and tyranny and SLAM those who legitamize dictators in Cuba and Venezuela with their words.